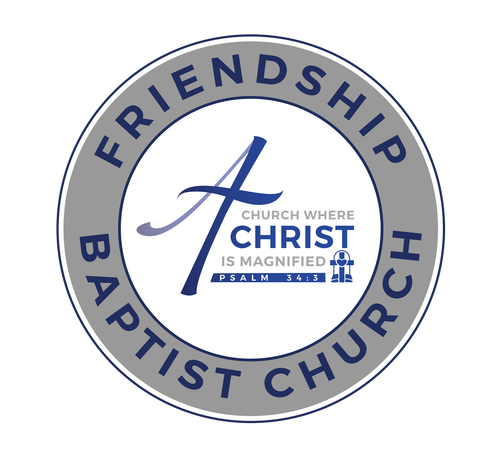 The following are the core beliefs of Friendship Baptist Church based on the foundational truths taught in the bible. All of our teaching and ministry is rooted in and flows out of these biblical doctrines. We believe that the Lord Jesus Christ, the eternal Son of God, came into the world that He might manifest God to men, fulfill prophecy, and become the Redeemer of a lost world. He was born of the Virgin Mary, received a human body and a sinless human nature without ceasing to be God. We believe that the Holy Spirit, the Third Person of the Trinity, dwells in every believer immediately after they place their faith in the Lord Jesus Christ and that God provides, through the Holy Spirit, power to live the Christian life. We believe that Satan, the devil, is the prince of demons and the declared adversary of God and man. However, when the Lord Jesus Christ died on the cross, He limited the power of the devil and guaranteed the ultimate triumph of God. We believe that the explicit message of our Lord Jesus Christ to those whom He has saved is to make Christ known to the whole world and that this is the purpose of the church through the individuals within it. Our common spiritual goal is to grow toward Christ’s likeness. We believe that a future period of great tribulation on the earth will be climaxed by the return of the Lord Jesus Christ to the earth as He went in person in the clouds with power and great glory to establish His millennial kingdom. But prior to this tribulation, we believe there will be the coming of the Lord Jesus Christ in the air to receive to Himself into Heaven both His own who are alive and remain until His coming and also all who have died in Jesus Christ. We believe that all believers should seek to walk by the Spirit, separating themselves from worldly practices and witnessing through their lives (words and actions) the truths of the Holy Scripture. We believe that all believers will be judged at the judgment seat of Christ and rewarded based on their faithful obedience to Him in this life. We affirm the Biblical ethic of compassion, love and ministry to all sexually broken persons and the availability of God’s grace to all that repent (Luke 5:30-32; John 8:1-11; I Corinthians 6:11). We affirm God’s gracious creation intent for both faithful lifelong heterosexual unions for married persons and for committed celibate behavior for unmarried persons as the only Biblical options for human sexual conduct. All other sexual unions are clearly identified in Scripture as being sinful and destructive of persons (Genesis 1:27, 2:24; I Thess. 4:3-8; Heb. 13:4). We affirm that all alternative sexual unions outside of heterosexual marriage including homosexual, bisexual, transgender practices, adultery, and fornication are sin. Such conduct calls for repentance and openness to the transforming power of God (Lev. 18:22, 20:13; Rom. 1:18-32; I Cor. 6:9-10).